There comes a time in every person’s life when they need a little kick of inspiration. If you’re feeling your resolutions starting to wear down with the realities of daily life, it might be time to consider some motivational apps. This type of app can offer you the right amount of inspiration and motivation you need on daily basis, offering you quotes and audios that you will enjoy for sure. To make the search easier, we looked and we have for you one amazing app for that. Let’s see what the app is about. What is Inspyr all about? The Inspyr is specially created for users that like to listen to motivational and inspirational audios every day from many different authors and speakers. Developed for IOS users, easy to use and offering gorgeous music player, the app will offer the users variety of audios they can listen to on daily basis, saving and sharing the ones they like the most with others. Users can use the app to search for their favorite authors and quotes, always finding audios to keep them inspired and motivated, getting the chance to customize their favorite ones as they like to. This inspirational and motivational app is offering its users different features that will keep them interested in using the app and most importantly will keep them inspired and motivated on daily basis. With the help of the app, users can listen to many inspirational and motivational audios from many different authors and speakers. Using the app, the user has the chance to find his favorite speaker and author, or his favorite title and listen to it anytime and anywhere. 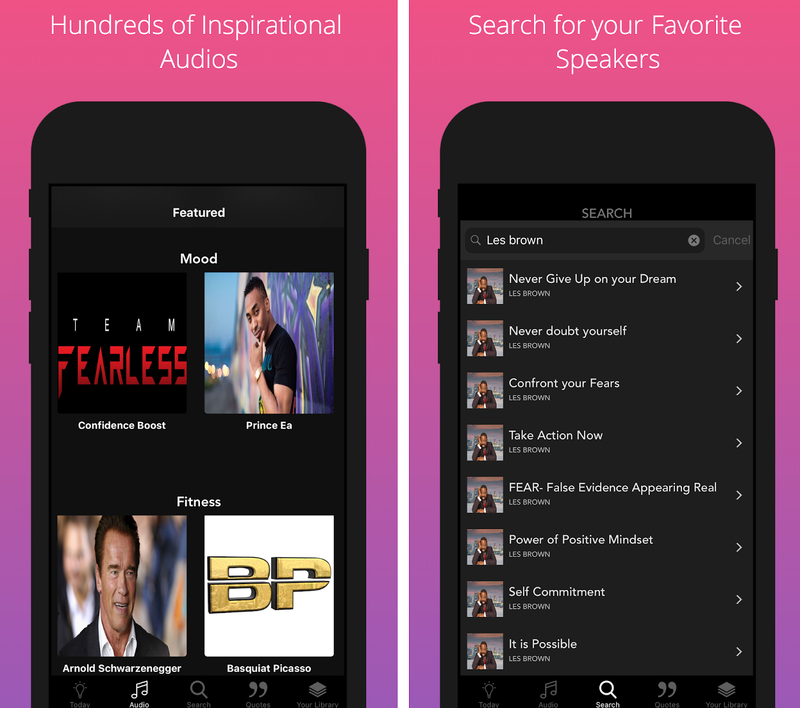 The app allows its users to create their own motivational collection that contains their favorite speakers and easily search for quotes and authors. 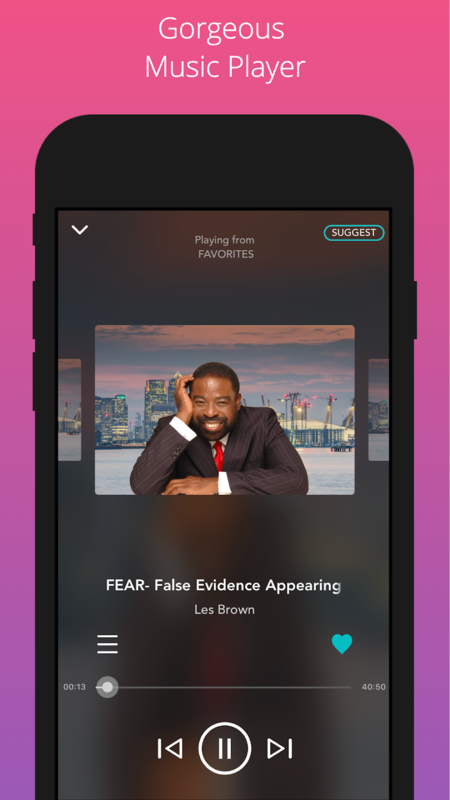 Users can use the app to customize, save and share their favorite audios and quotes with their friends and family. The app’s daily recommendation will keep the user inspired and motivated daily and also the app’s inspirational message reminder will allow the user to create his personal inspirational message and set a reminder for it. The app has 7 days free trial with all features and contents available and after the trial expires the user can purchase the app for only $4.99 and keep using complete access to it. Download it on App Store now to get your free trial and find all your favorite speakers to inspire you!